Ninety three lakes see the walleye bag limit raised to three walleye a day, up from two daily. Another 165 lakes see the bag limit jump to the statewide daily limit of five. 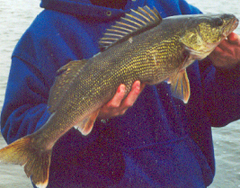 of the 152 northern lakes which continue to have reduced bag limits, one has a limit of one walleye, 66 have a limit of two, and 85 have a three walleye bag limit.